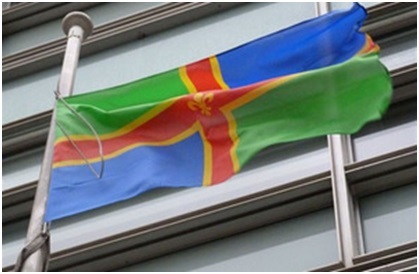 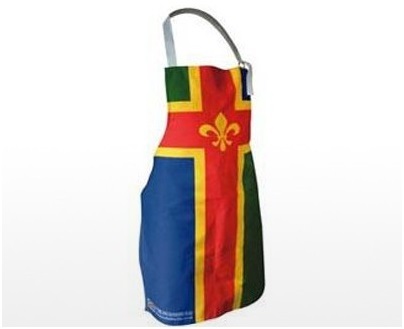 Lincolnshire’s colourful flag was registered on October 24th, 2005. 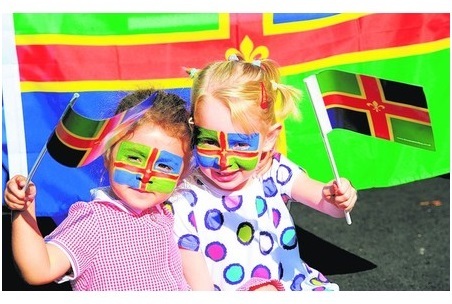 It was the winning entry in a competition to select a flag for the county. 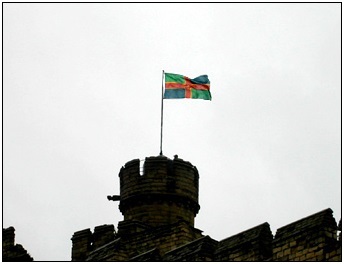 This had been sparked by a letter to a local magazine, County News, from two readers keen to raise the county’s profile. 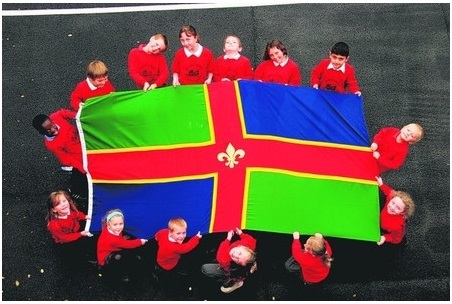 Fred and Pat Rickett, from the Lincolnshire town of Moulton, keen caravanners, wrote in 2003 to enquire why Lincolnshire had no flag that they could fly on caravan rallies. 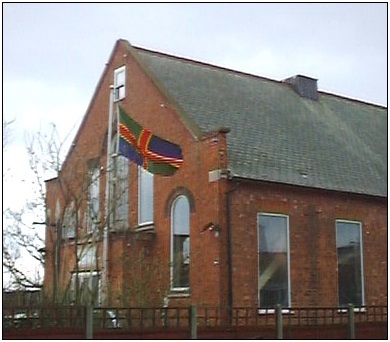 Their plea was taken up by BBC Radio Lincolnshire, who launched the campaign in partnership with Lincolnshire Life magazine. 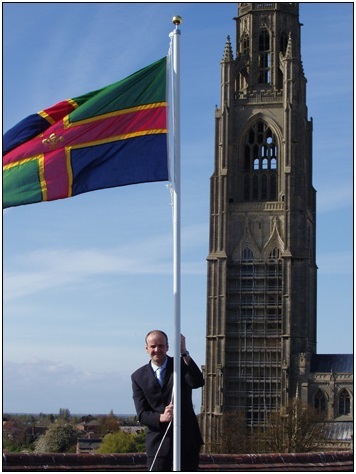 The campaign was supported by many local businesses, who recognised an opportunity to promote trade and tourism. 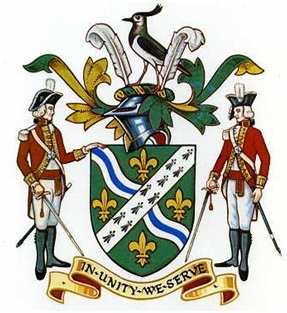 The alternating green and blue quadrants formed by the red cross, represent respectively, the county’s agricultural heritage, and the sea off its long coastline and wide blue skies. 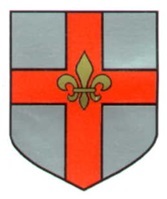 The cross is edged in gold, a reference both to the golden crops grown in the county and the distinctive nickname “Yellerbellies” given to people born and bred in Lincolnshire. 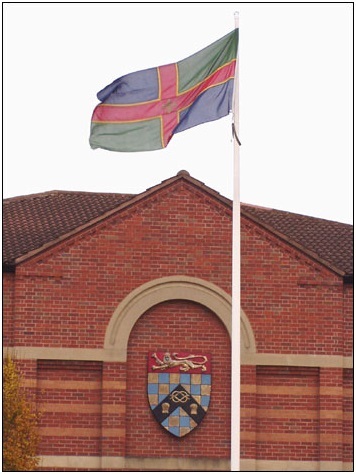 celebrating the themes of the county’s rural traditions and the ‘Yellerbellies’ nickname but prominently including the armorial banner of the county town in the canton. 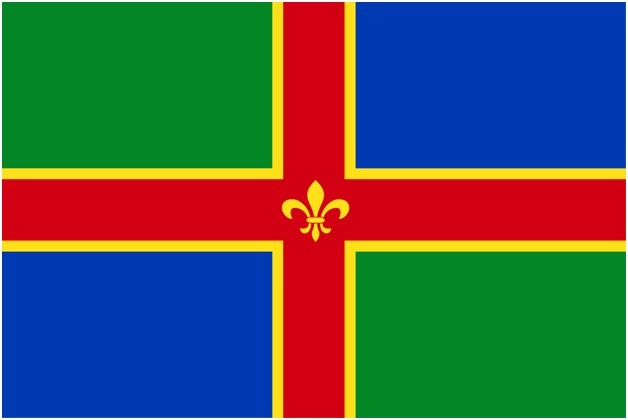 A Lincolnshire Day, October 1st, was chosen in 2006 by voters. 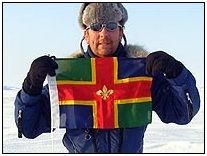 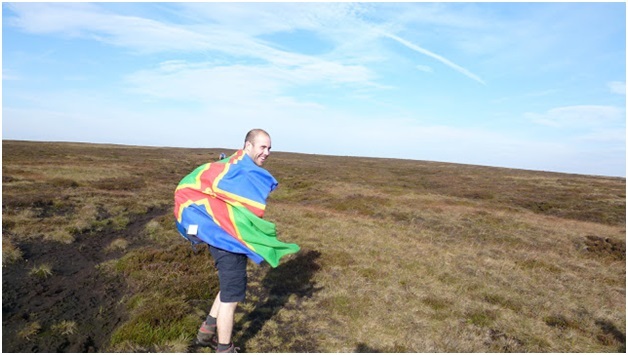 The county flag is prominently displayed on this date, as seen here on the back of a long distance runner venturing across the fenland in Ocotber 2011.
whose wife is from the county.